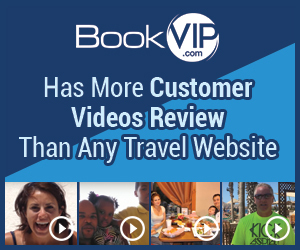 Bookvip - The food is really good, it's 24 hour all inclusive, you can order anything they will take it your room to your no problem, drinks are great and the whole experience was amazing. We have just returned from a wonderful visit and do not have a single complaint.We have been to many all inclusives and the food here was by far the best. We loved the no wrist bands and not having to sign up for specialty restaurants. The buffet food was excellent, especially the asian evening. We loved the hibachi so much that we went there twice - it was amazing. Food is always high on my list of priorities and the food here definitely gets a 5! The entertainment staff did a great job and tried so hard. The outside entertainers were not great but it was still entertainment. The hypnotist was the best, and American Idol. This is definitely a family resort and not too wild at all. Young people who want non stop partying will be very disappointed. All the staff were so helpful and friendly. We were surprised and dismayed to see how little the guests tipped. I really think all the workers deserved some extra $$ to show our appreciation of how hard they worked. They were wonderful. We walked into Puerto Morelos a couple times - a very easy walk on the beach. There was good souvenir shopping there, much more variety than in the hotel gift shop. It is a very cute little town with a nice little church. The road to the resort is horrible but since we were not driving and our vehicle wasn't getting destroyed, who cares? Just remember to add extra time to any commutes, especially after a big rain. Overall our stay was wonderful. There was something for everyone. We would definitely recommend this resort to anyone. Review #836380 is a subjective opinion of testimonial.